So in my last post I was discussing forex price action trading and expressing my personal opinion that price action methods, especially when trading off the higher time frame charts such as the 4 hour, daily, or weekly charts are a vastly superior way to trade. Forex price action methods heavily rely on the use of price indicators such as trend, key support and resistance areas, pin bars, engulfing bars and inside bars. If you are not familiar with these terms we will get into some of these concepts later on. Ok, so in my last post I promised I would reveal the two price action membership programs that I have been a member of for some time, and highly recommend. I will talk about these in the order that I joined each. The first price action membership course that joined was Learn To Trade the Market.com which is taught by a gentlemen by the name of Nial Fuller. If you go to the site you will see that Nial offers a boat load of free training videos and articles to give you a taste of what the membership and training is all about. I particular found both the free videos and member videos very very helpful when it came to understanding various price action concepts. The whole picture, or video in this case, worth a thousand words thing. Nial Fuller provides lifetime access to his membership for a one time affordable membership fee which is another thing I like about the membership. I would definetely recommend checking out the site and making use of all the free videos and articles that he has to offer. The other membership site that I belong to is Forex School Online taught by Johnathon Fox. Mr. Fox also does a spectacular job at teaching the fundamental price action trading principles. Similarly, he provides countless training videos and articles. What I also found as an invaluable teaching tool is the membership forum which allows members to discuss the forex charts in real time and analyze possible trade set ups or past trade set ups. Both these forex price action sites are very high quality and definitely worth checking out. And just for the record my links are not affiliate links, and I have no financial incentive for recommending these sites. If you want to check out another very good forex price action course check out our DNB Forex Price Action Membership Review. So picking up where I left off yesterday, I would like to provide some more thoughts on forex trading, and some of my experiences thus far with some of the systems I have personally tested and spent some time demo trading with. Now before I go through a discussion of what I feel are some of the better forex programs or “systems” out there I am going to go out on a limb here and make a statement that some may or may not agree with. 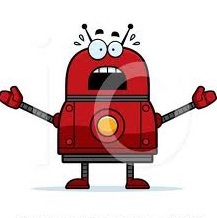 Here goes….. Forex Robots will not be profitable over the long term. To be honest I have not even tested a forex robot in a couple years now. The reason being, I gave up on them a long time ago. In my humble opinion robots are programmed to base trading decisions on the past behavior of the market. The forex market conditions are constantly changing and evolving, and are driven by the millions of human traders buying and selling. To put it simply you cannot predict what the market will do by analyzing past market conditions and programming a robot to take trades based on how the market has behaved in the past. Once again in my humble opinion robots will not work for you over the long term and you will eventually blow your account if you are trading with a robot. Becoming a successful forex trader will take work and a great deal of practice on your part if it is something that you think you may want to pursue as a way of earning an income online. There is no magic out of the box push button software that is going to make you wealthy. But I am sure you are smart enough to know that already. I am going to be completely honest with you here. I have been researching and demo trading forex for years now. I have not got to the point yet where I would be comfortable risking real money. I am still demo trading. The reason I am telling you this is because I do not want to give anyone the false impression that I am a professional forex trader. I am someone who has spent a few years now demo trading forex and may be able to offer some insight and advice to individuals just starting out. Ok let’s cut to the chase. What do I think is the best forex “system” or “systems” out there? Here goes… based on my personal experiences and beliefs regarding the forex markets I truly believe simple price action trading methods whereby the trader primarily trades from the Daily and 4 Hour charts provide the best opportunity for success. What is price action you ask? Price action forex trading is a method whereby you toss all the fancy indicators from your forex charts and you trade from clean uncluttered charts using the best indicator of alll….price! I currently belong to two forex price action membership sites and I would highly recommend both of these membership sites. I know my skills and demo trading results have come a long way since becoming a member of these two sites. In my next post I will provide the names of both of these forex price action membership sites and why I would recommend either of them to someone who is interested in improving their forex trading skills, and hopefully one day becoming a profitable forex trader. Once again if you are considering trying your hand at forex trading do not think about risking your real money until you have demo traded, and demo traded some more. Most if not all forex brokers out there offer a free Meta Trader 4 (MT4) demo account. There is no reason to risk your real money until you become 100% confident in your trading system and trading plan. If you want to get a head start at checking out a very good forex price action course check out our DNB Forex Price Action Membership Review. Well thats it for this post, I hope you found some of it interesting and useful. Please feel free to leave a comment, and or share my blog using one of the social media links below. And don’t forget to sign up for my free newsletter on the main page to receive more online money making ideas! Hello all and happy Friday! I just wanted to write another brief post on the topic of forex systems. Now I know the blog post title is actually “best forex systems” but you will have to bear with me a little longer before I get into the meat and potatoes of what I consider the better forex systems out there. Now if any of you have been researching forex or forex systems for any length of time you will know that there are literally thousands of “systems”, magic indicators and robots being sold and marketed. The vendors of these forex systems and products usually make all kinds of claims as to how easy the system or indicator or robot is to use and how you will become an instantly profitable forex trader by using their system, or indicator. Now I am not saying that all forex systems and indicators being sold out there are useless or are completely devoid of value. But as the age old saying goes; “if it sounds too good to be true it probably is” and you need to be very careful before risking your hard earned money on a forex system or product. Before deciding to invest in a potential forex system or indicator you would be wise to do your due diligence and look for bonafide third party reviews from individuals or trusted forex review sites who have actually used and tested the forex system and will provide an honest and unbiased review. However you will need to filter through the countless affiliate advertisements for the forex system or product which try to pass themselves off as review sites. One site that I have used quite a bit myself in the past to look for reviews and sometimes even forum threads on the particular forex system or indicator is the site Forex Peace Army. There are also countless forums where you can go and search for reviews or even post questions about a particular forex system or product you are interested in. These in include Forex Factory, BabyPips.Com, and Earn Forex to name a few. BabyPips.Com is actually a great resource in general and you should definitely check that site out if you want to learn more about forex trading, and how to develop your skills as a forex trader. BabyPips.com has a forex “School” where you can go through their courses at your own pace and best of all free of charge! Well I am going to wrap things up for this post. In my next post on the topic of forex systems I will attempt to get a bit more into the meat and potatoes of various forex systems that I have tried and some of the forex systems and software that I would not recommend. Thanks for checking in and if you are enjoying the content on my blog so far please sign up for my free newsletter to the right and or share us using one of the social media links below. Today I would just like to write a quick post on the topic of the best forex systems. Now as a bit of a disclaimer I am not claiming to be a forex expert. But as someone who has been experimenting with forex for a number of years now, and who has tested a multitude of different forex systems and indicators I feel I can offer some valuable information, especially for the newby forex trader. When it comes to the best forex systems this is a very difficult question to answer. At the end of the day the best forex system is going to be highly dependent on your personality type and lifestyle. If there is one thing I have learned about forex trading over the years is that there is a great deal of psychology involved. For example, if you are a very analytical person who likes to take your time and really think things through before executing, and have a great deal of patience then you will probably want to gear your trading to the longer time frame charts such as the 4hour, daily or even weekly charts. On the other end of the spectrum are those individuals with less patience desiring a forex system that is going to offer more “action”, involving quicker decisions and trades which are much shorter duration. In my personal experience the second type of forex trader will have a much more difficult time finding or developing a profitable forex system. This is not to say that there are not forex traders who earn a consistent income trading from the 1 min or 5 min charts. But in my humble opinion the shorter the time frame one is using to trade forex the more skill is required in analyzing the market and reading the charts. There is also more “noise” or randomness on the lower time charts making it much more difficult to predict whether a currency pair will rise or fall within the foreseeable future. This is just a very brief introduction regarding forex systems. The bottom line is that before someone can become a profitable forex trader and find a forex system that works for them, they will have to discover which trading style fits their personality and psychology. In my next post on forex trading I will get a bit more specific regarding actual forex trading systems that I have dabbled with and may be worth exploring if you are curious about forex trading. As a bit of a disclaimer or warning, forex trading can be a risky venture and no one should ever consider risking real money trading until they have demo traded their forex system to death and are consistently making money on their demo account. Thanks for checking in and if you liked the post please share or “like” on one of the social media links below. Hello and welcome to my forex trading blog! This is my first substantive post and I would like to discuss a price action trading system ebook or manual that I have recently purchased and have been testing out. It is called PIPDAQ Price Action Trading Setups. Right off the bat I would like to say that I love the simplicity of the price action trading setups explained within the manual. I am a visual learner and the manual is full of price charts with explanations on the setups. The manual teaches two basic types of setups. The first involves trading with an established trend, and the second involves identifying a trend reversal and getting in relatively early on that trend reversal. In today’s post I will be discussing the first type of price action setup taught in the PipDaq price action trading manual (trading with the trend) and going through three recent trades I took on my demo account. Of the three trades two ended up being winners and one a loser. Below is the demo trade I took on the UsdJpy on January 17, 2013 trading from the 4 hour chart. The PipDaq price action trading setup got me in the trade at the beginning of the resumption of the main bullish trend and I took 92 pips profit out of that trade. Another trade was on the EurGbp 4 hour chart, taken on January 16, 2013 shown below. Once again the PipDaq price action trading setup got me in the trade at the resumption of the dominant bullish trend scoring me 40 pips by the time I took profit and got out of the trade. Now any of you who have traded forex for any length of time will know that they are never going to be all winners. I did have one losing trade of the three PipDaq price action setups I have taken so far and this was on the GbpJpy 4 hour chart trade below. Now you will notice where I have marked the red upward arrow, this is where I got in long using the Pipdaq price action setup and price then continued on its downward correction taking out my stop loss. If you notice the purple upward pointing arrow, I have marked where the Pipdaq price action setup would have triggered another opportunity to get in on the trade and this time it would have been a profitable trade. Unfortunately I did not get in on the second opportunity and missed that one. It is still very early in my testing of the PipDaq price action setups but so far I can honestly say I very much like the simplicity of the system, and I think it may have some very good potential. Without giving away the elements of the PipDaq price action trading setups, I can say that it is not your basic Moving Average crossover as some systems advocate. I have personally found the Moving Average crossover systems to be lagging and didn’t work well for me at all over the long term. Well that’s all for this post but I will keep you updated on the PipDaq price action trading system as I continue to test and demo trade. Hello my name is Serge in this is my first blog post on my new forex trading blog! I hope this blog will become an informative, interesting resource for fellow traders, where we can share various thoughts and strategies ideas related to forex trading and especially price action based trading. Please check back often and I encourage you to post, share your thoughts, ask questions, and be involved!